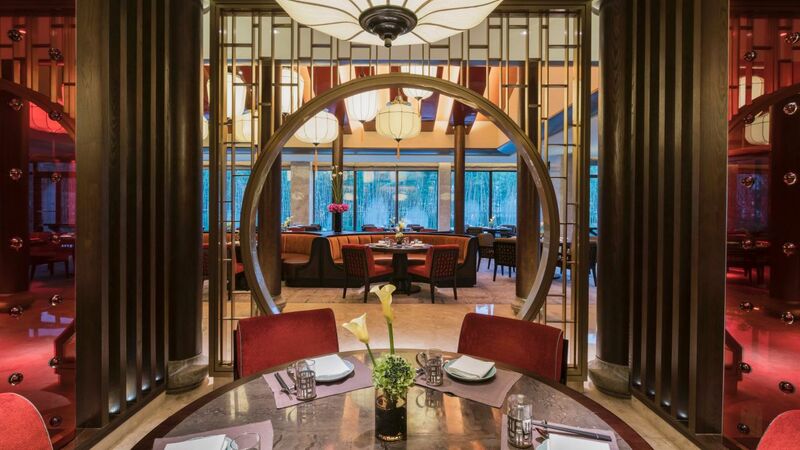 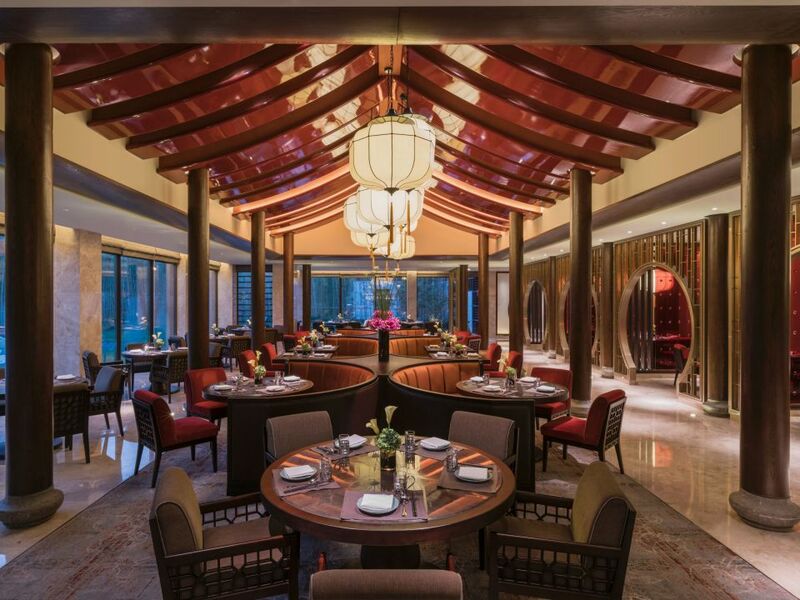 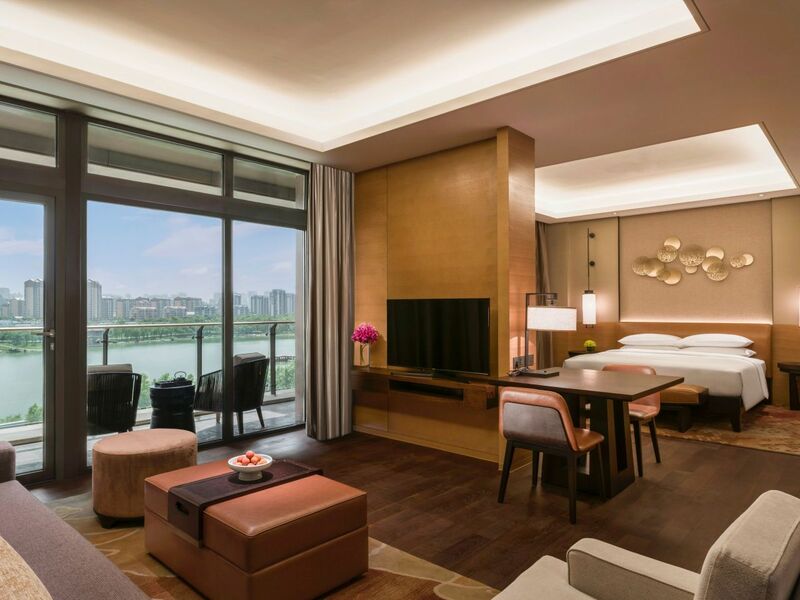 Hyatt Regency Xi’an offers guests a luxurious five-star experience on the banks of idyllic Qujiang Lake. 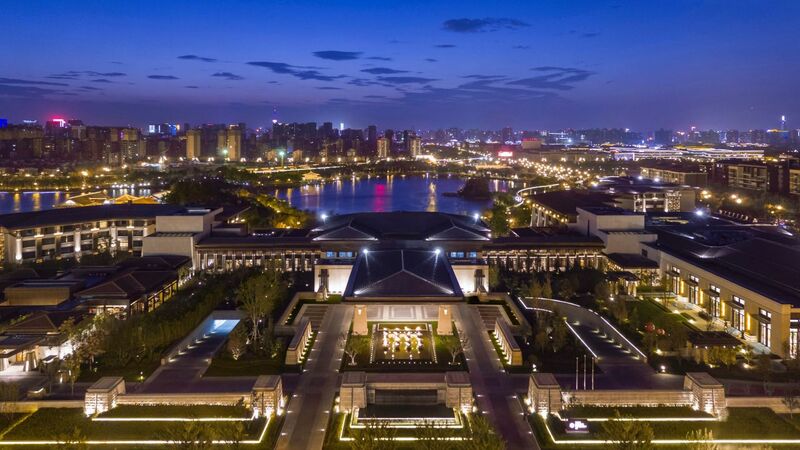 The hotel is conveniently located with merely 45 minutes away from Xi’an Xianyang International Airport and 15 minutes away from the city center, offering easy access to main historical sites like the Wild Goose Pagoda and the Qujiang Pool Relics Park. 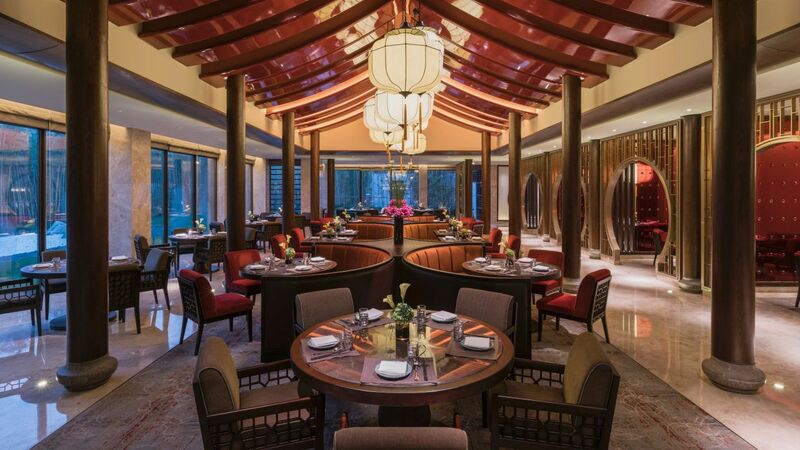 Authentic cuisine is blended with Xi'an traditions, offering guests a taste of Xi'an's rich culture and history. 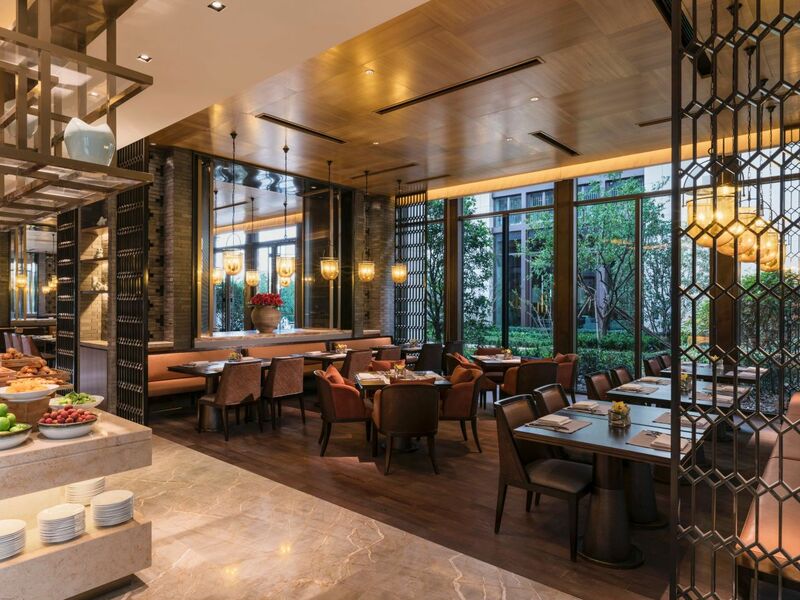 Hu Pan offers authentic Chinese fare, serving northern signatures, local Xi’an specialties, and Cantonese dishes. 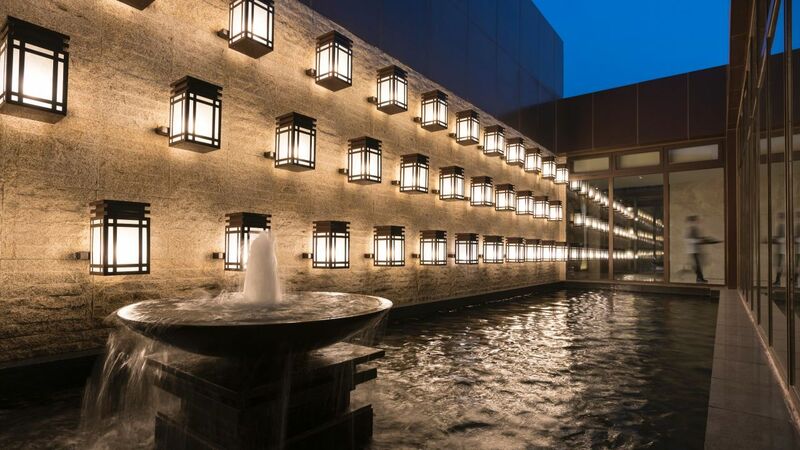 The hotel features more than 4,000-square-meter of pillar-less, naturally lit event space. 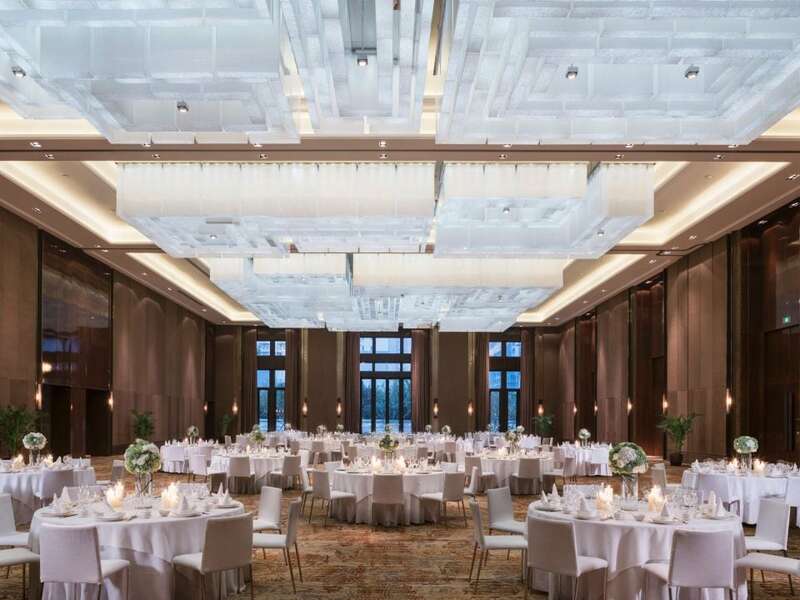 The 1,220-square-meter Regency ballroom is ideal for wedding event. 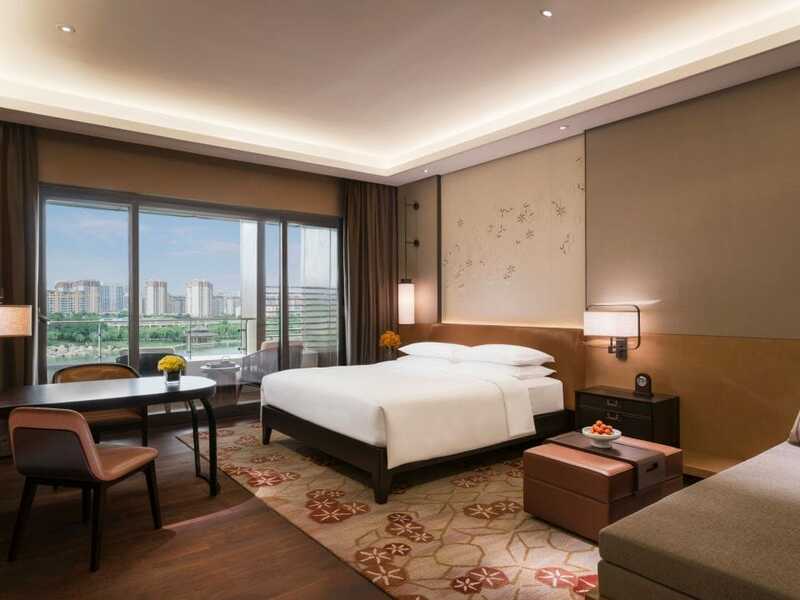 Hyatt Regency Xi’an features 298 rooms and suites outfitted with oak floors and marble surfaces. 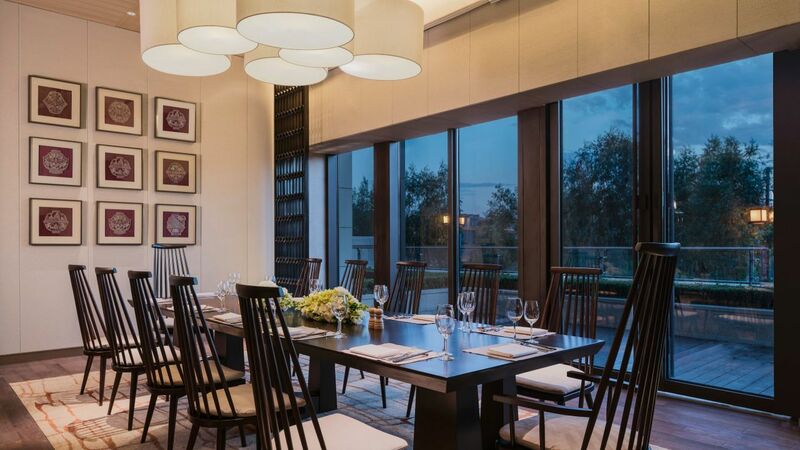 Each room has a large walk-in closet and a spacious work area with an ergonomic chair. 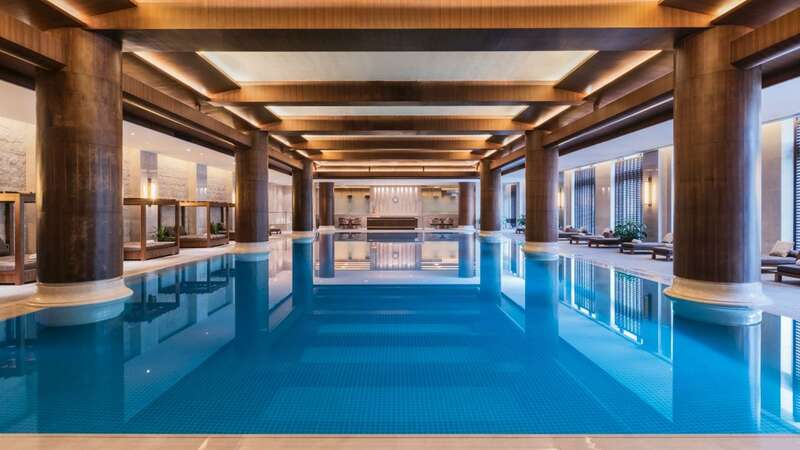 The Fitness Center’s 275-square-meter pool is complete with swimming lanes, sprawling day beds, and a dedicated juice bar. 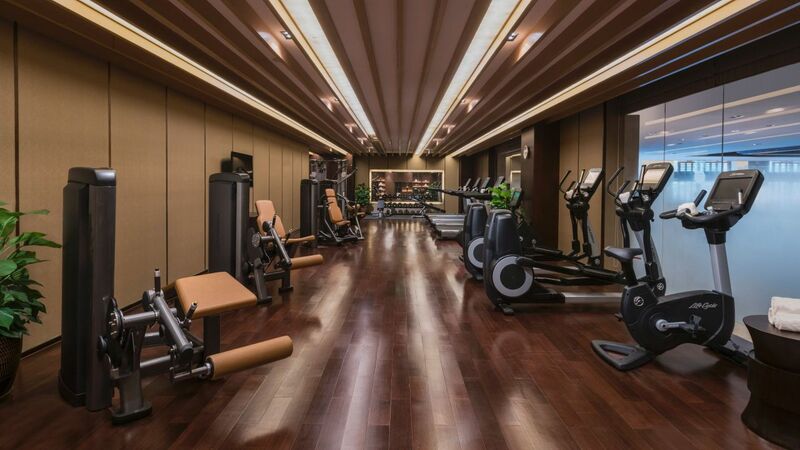 The hotel’s 176-square-meter Fitness Center is open 24 hours a day and is equipped with Life Fitness equipment. 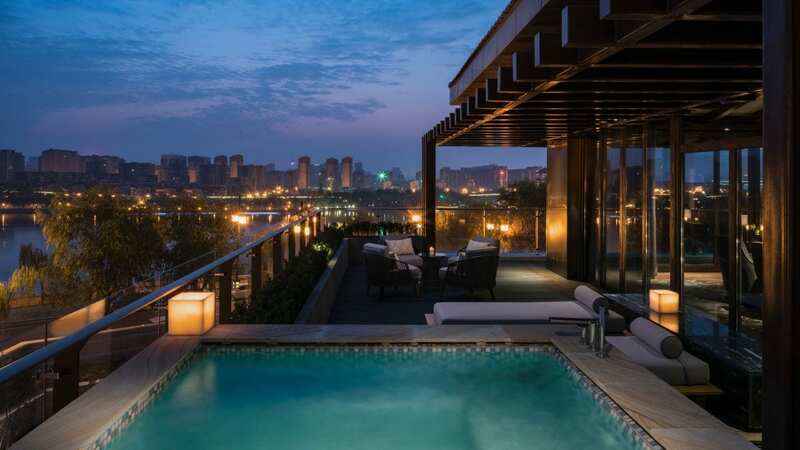 Its glass walls offer immaculate views over a regal indoor pool. 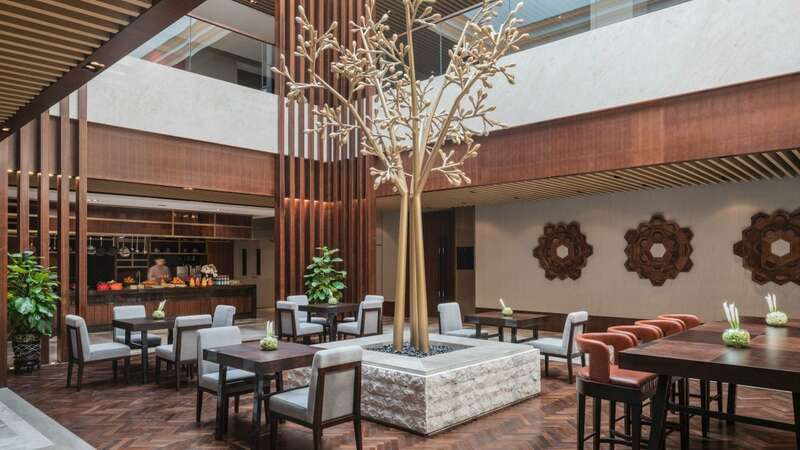 An oversized zen rock garden welcomes guests into a temple of relaxation. 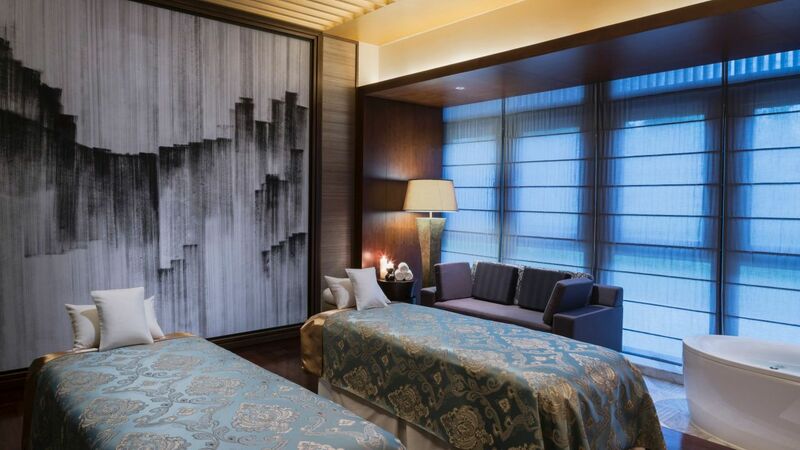 The spa features eight spa suites and relaxation areas to enhance personal wellness in body and spirit. 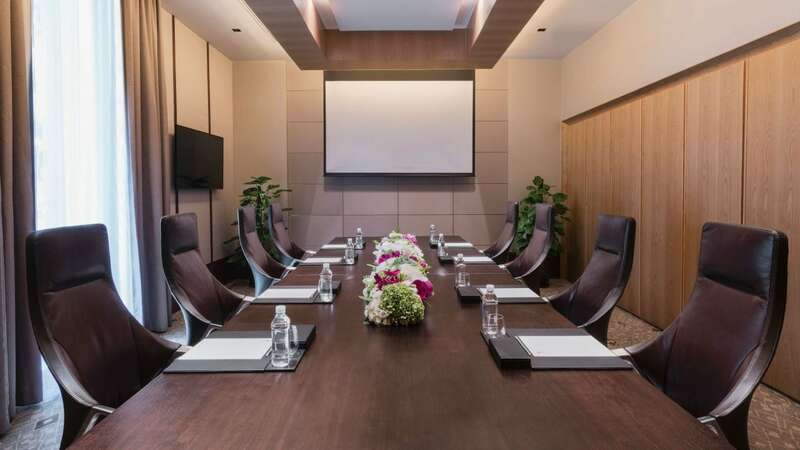 The Business Center provides a host of business services, including high-speed Internet access, video conferencing facilities, laptop rental, and information about local commerce, industry, banking, and finance. 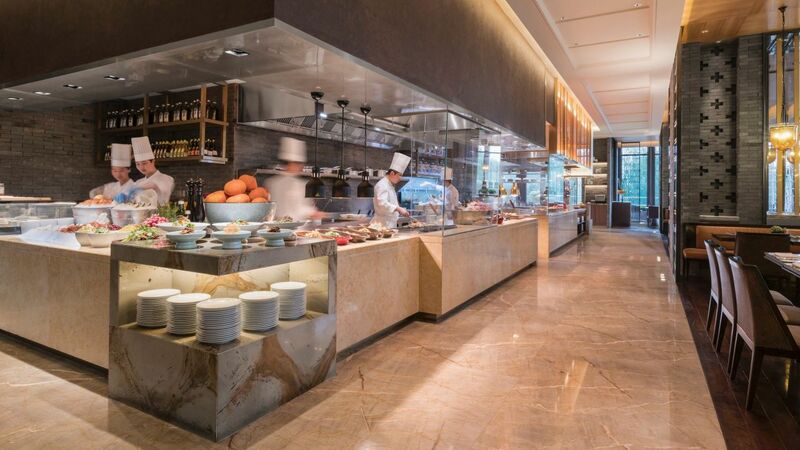 Enjoy a culinary journey at The Lounge, a multi-themed outlet that takes diners across the globe. 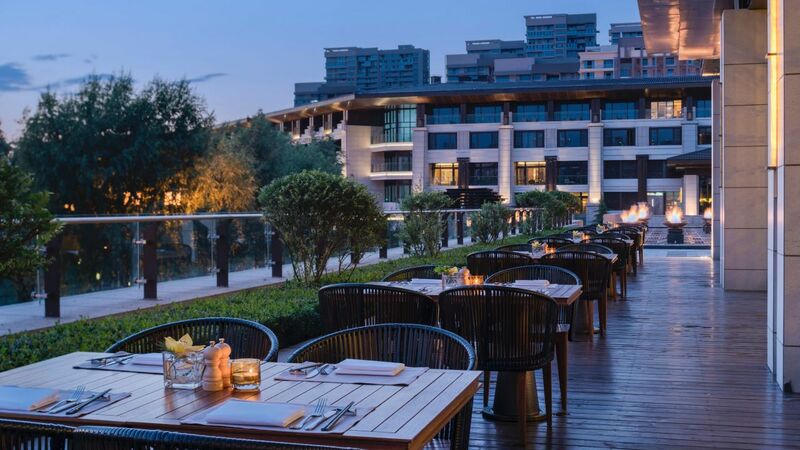 Market Café serves delicacies from East to West with an open kitchen and a tranquil lake setting. 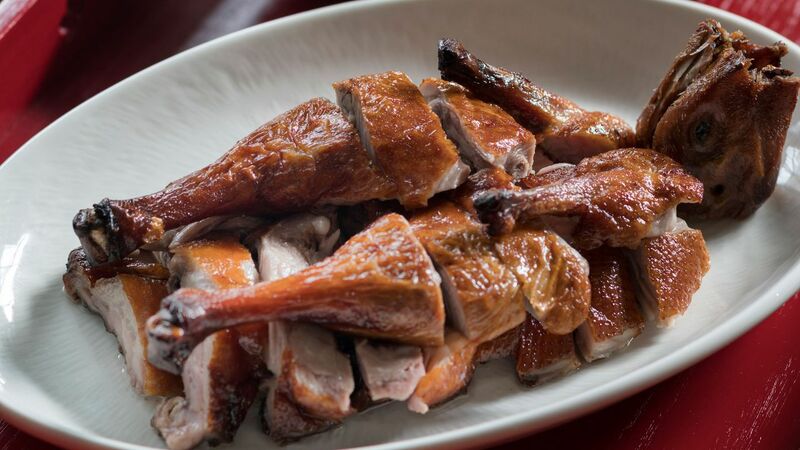 Hu Pan offers authentic Chinese fare. 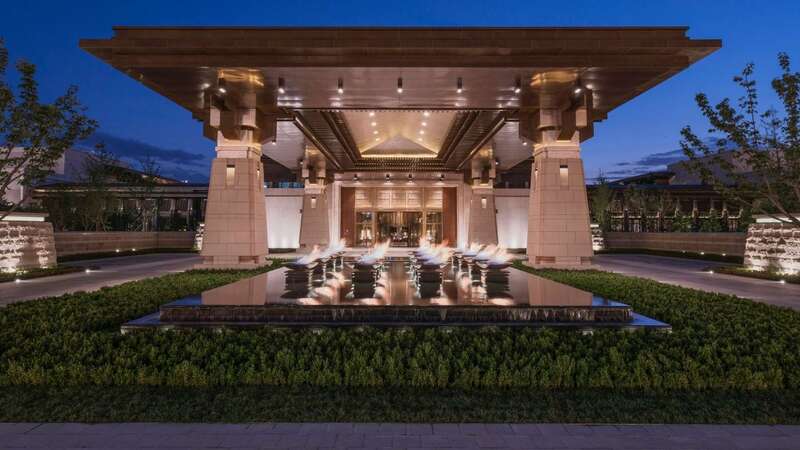 An elegant outdoor lakeside venue and lawn wedding chapel provide spaces for unforgettable ceremonies. 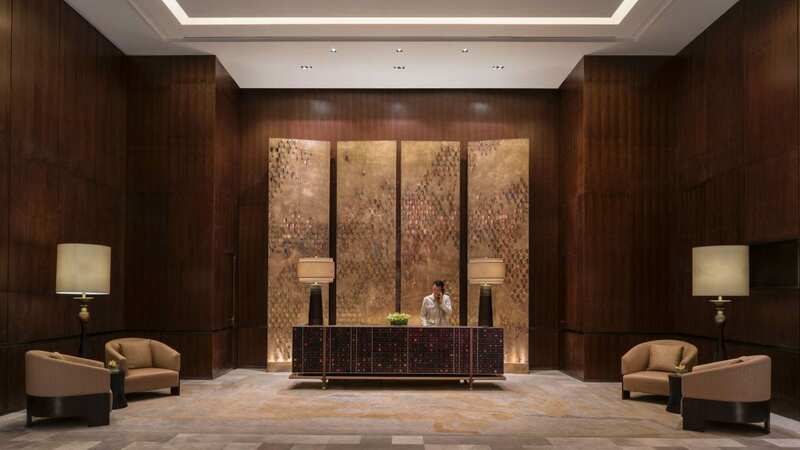 A dedicated, detail-oriented planning team provides professional services. 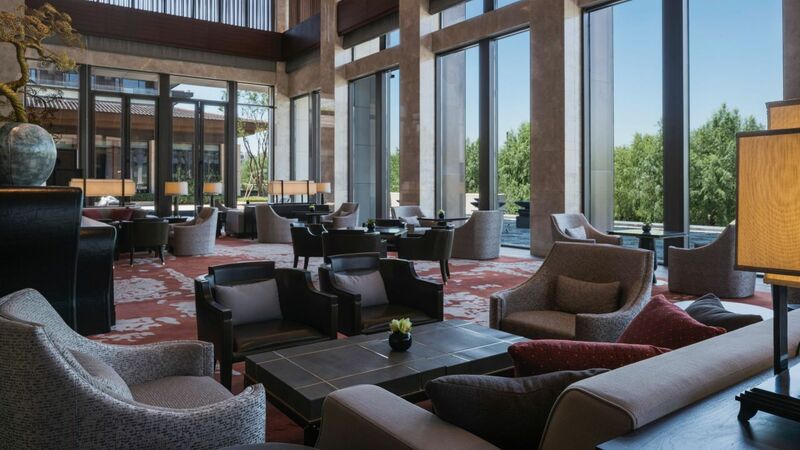 Hyatt Regency Xi’an provides the perfect setting for meetings of all types. 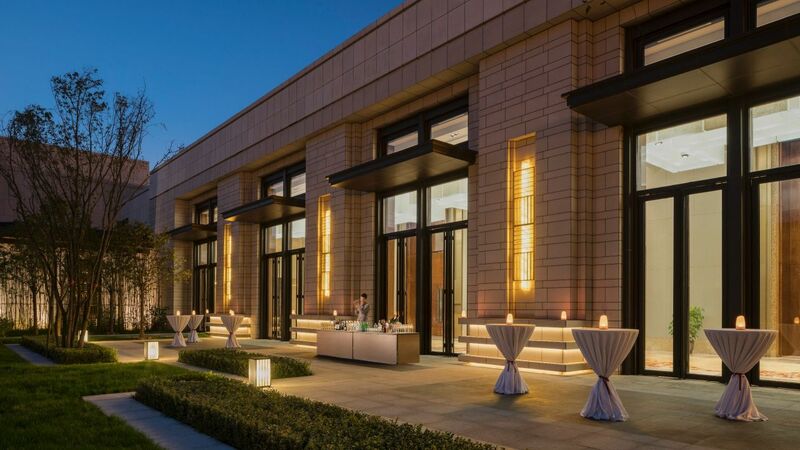 All event spaces are flexible and versatile, offering custom setups and modern technological and communication equipment. 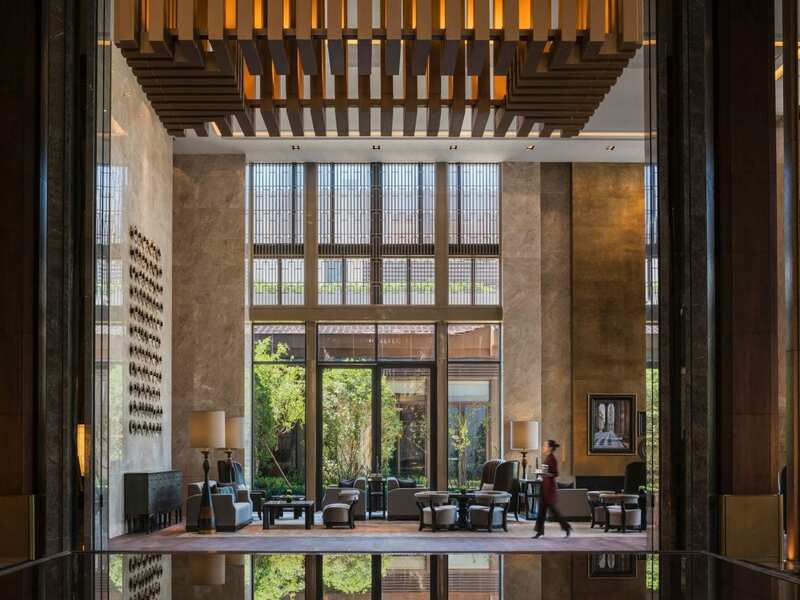 "Impeccable service, personable staff, well laid out rooms, great location (only a stone's throw to the lovely Qujiang lake and garden), and excellent restaurants made my stay in Hyatt Regency Xi'an an unforgettable one. 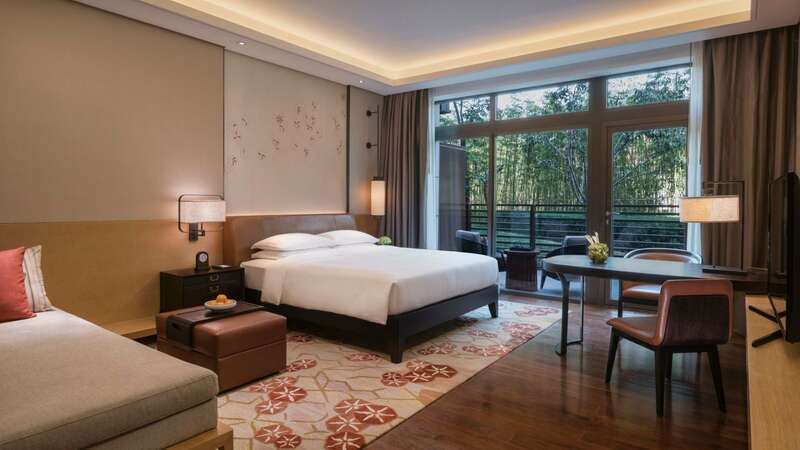 I'd recommend this hotel to anyone desirous of an enjoyable and restful time in the city." 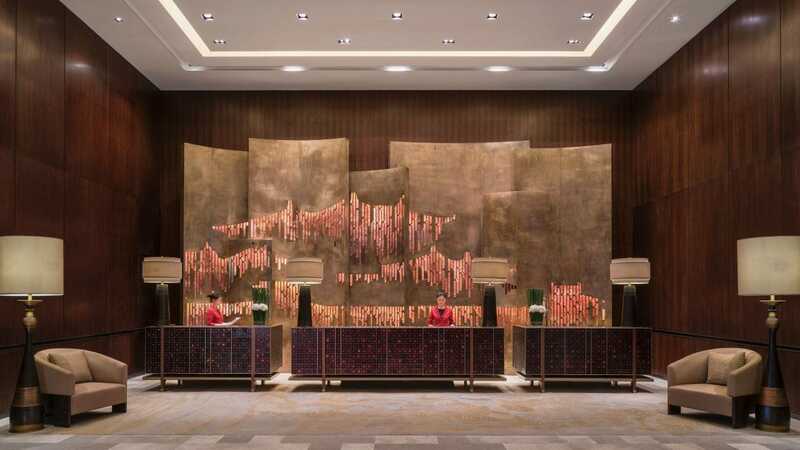 What else is happening at Hyatt Regency Xi'an?